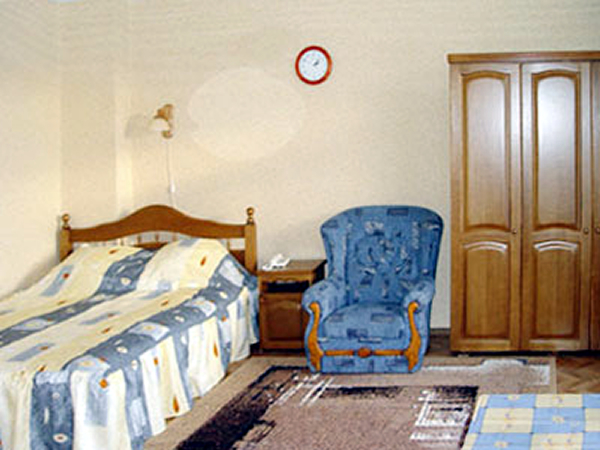 Dnepropetrovsk Ukriane country style studio apartment in the city center on Moskovskaya Street. Located between Karl Marks and the Dneper River, close to shops restaurants, cafes and an affiliate office. New country furnishing add a fresh look to this bright and sunny space. Apartment has a queen size bed and sleeper sofa. Windows are new sound proof to insure a quite nights sleep. There is a completely equipped kitchenette with water filters for in-house cooking. 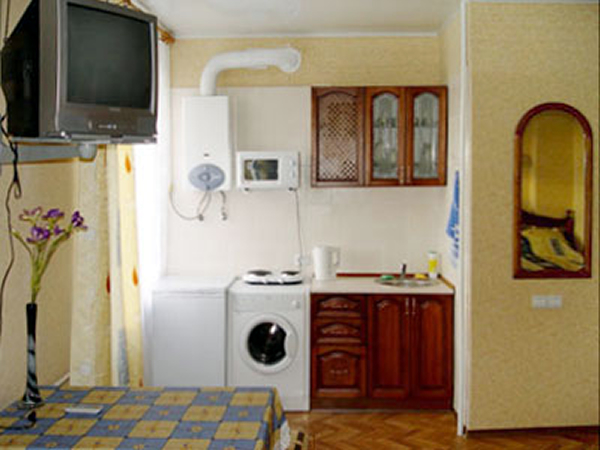 The bath and kitchenette have self-contained hot water system. Entrance is from the courtyard with code lock security doors. 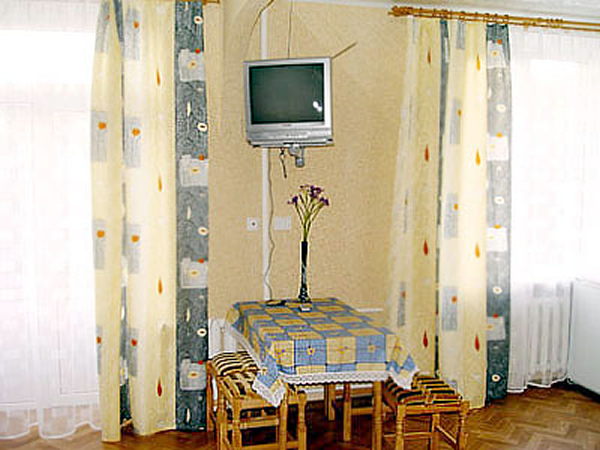 Amenities include Cable TVw/remote, microwave, and washing machine. I am very glad that a friend suggested your personals service to me. My response has been wonderful! So far, and it's been about 1 month, I think, my response from the women is about 50%. Much better than I expected. I guess my next step is to schedule a trip with you to St. Petersburg to meet some of these lovely Russian women. To be honest I was very skeptical of the statements made by your site and staff prior to the romance tour. But I figured why not, it would make an interesting vacation. I was wrong. Everything you stated on the site is 100% true!!! The beautiful women are incredible! Some of my friends still think I am crazy, but when they meet my Helena (from Russia) in January, they will know I am "crazy like a fox". I cannot find the words to express how very happy I am. This program is the sole property of Norgorod Women and may not be copied in any way or form without express permission from Norgorod Women. Copyright © 1996-2017 - All Rights Reserved.